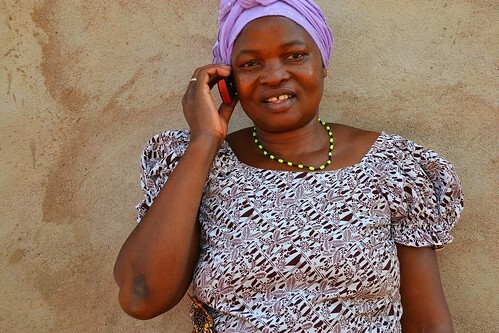 Tanzanian woman on her cell phone (photo credit: CCAFS/Cecilia Schubert). A new open-access Nutrition Knowledge Bank has been created as part of a GSMA mNutrition initiative to help tackle malnutrition in Africa and Asia. This collection of content on good nutritional practices includes factsheets and mobile messages for anyone to download and use. Funded by the UK Department for International Development (DFID), the mNutrition project aims to deliver nutrition information to 3 million people in 12 developing countries.